Wayne graduated with Honours from the Anglo-European College of Chiropractic in Bournemouth . He achieved both a Bachelor in Neuro-Musculo-Skeletal Sciences and a Masters in Chiropractic Sciences. He has continued with his studies completing numerous courses including a course from the British Medical Acupuncture society allowing him to practice acupuncture/dry needling. He has returned to the midlands to work in Derby after a spell in Perth, Australia where he lectured in Chiropractic at the local university. 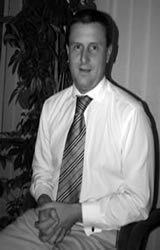 Although Wayne enjoys all aspects of Chiropractic he does have a special interest in Sports Chiropractic having previously worked with several rugby clubs and currently has links with local football teams. 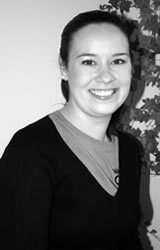 Carina graduated with Honours from the Welsh Institute of Chiropractic in July 2003 and since then has been working at Mickleover ChiroHealth. Carina receives a lot of satisfaction helping all her patients. She has a special interest in young children and babies having completed further training in paediatric chiropractic.